There are no comments for Home Again, 1866. Click here to post the first comment. 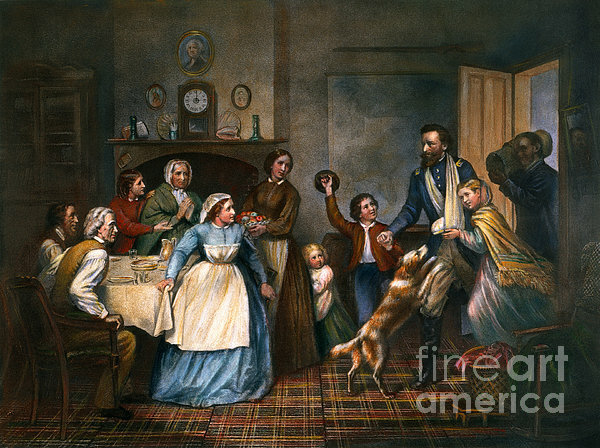 HOME AGAIN, 1866. 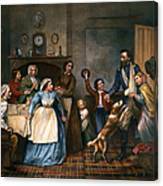 The return of a wounded Union officer to his family at the end of the Civil War: American lithograph, 1866.